FAIRWINDS Credit Union is a financial cooperativea business owned and controlled by its members on a nonprofit basis. With a brand promise to meet members’ needs wherever they are in life, we recognized the importance of reaching target demographics to make this message heard. After digging deep into FAIRWINDS’ background and mission, our team set out to retain current members, gain new ones and achieve groundbreaking results. A partner to FAIRWINDS since 2015 and agency of record since 2017, our team executes creative and strategic projects, manages social media channels, plans and places traditional and digital media, and analyzes reporting to position FAIRWINDS as the caring, helpful financial advisor you can trust. 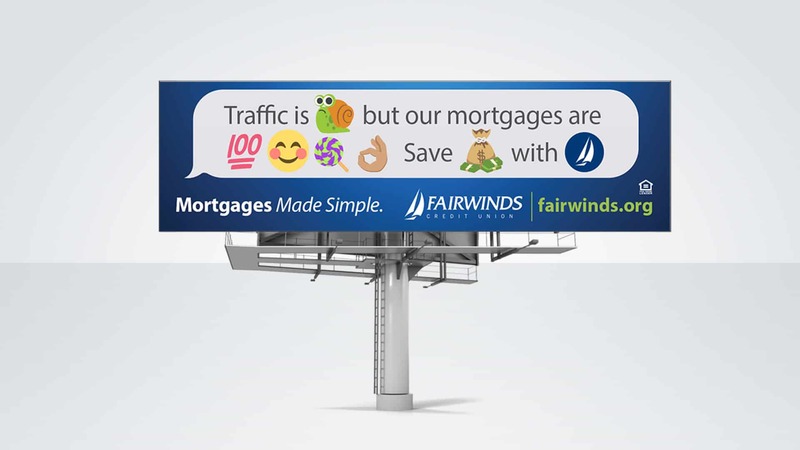 While we employ these capabilities to showcase FAIRWINDS’ everyday offerings, the credit union wanted to highlight their mortgage services and position themselves as the best value for new or refinanced mortgages. 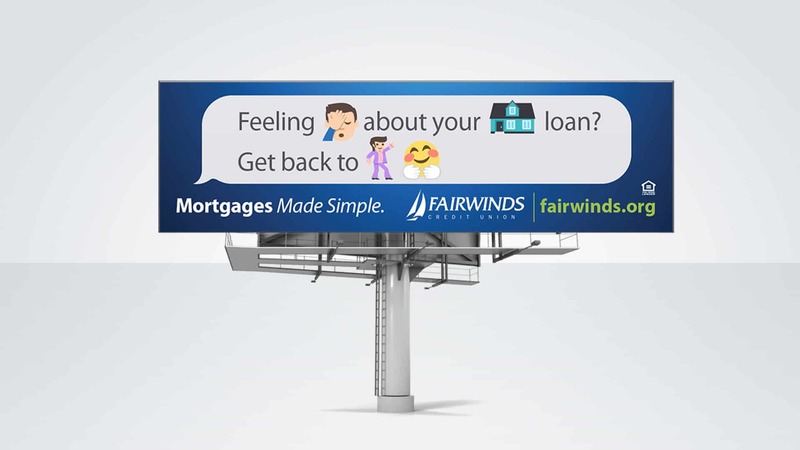 Our team took this information, and after a few brainstorming sessions, we created a fun, youthful media campaign with emojis as the creative centerpiece. Yes, that’s right, emojis. 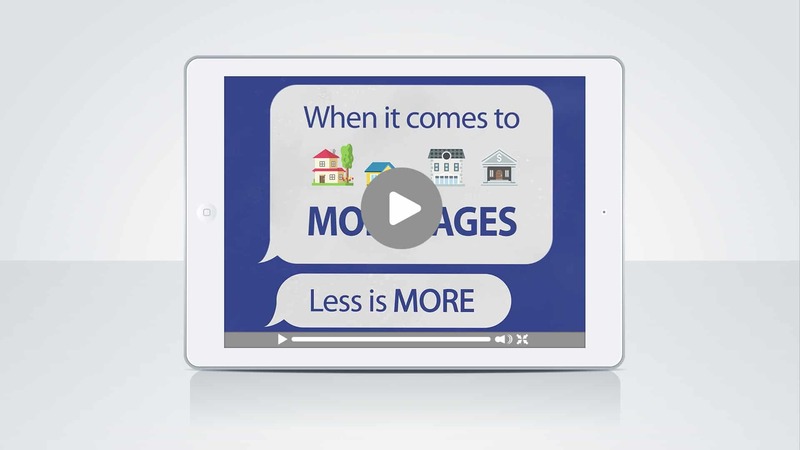 Less is more—there are few scenarios where this saying applies to more than finding a great mortgage. Homeowners and buyers want less hassles, less waiting and less fees with more savings, more security and more benefits. And with FAIRWINDS, that’s exactly what they’ll get. When it came time to formulate a creative strategy, we carried the less is more theme by replacing words with emojis. Our team discovered it’s not just Generation Z or Millennials talking with emojis, but rather 92% of the online population tapping, clicking and sending them in messages. 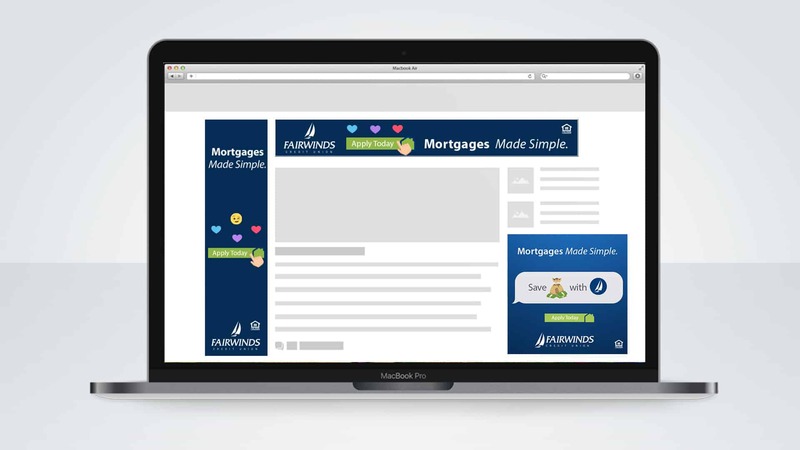 These emojis allowed us to reach potential homebuyers, from first-time Millennials looking for a small home to third-time Baby Boomers searching for a home to retire. In addition to bridging the gap between generations, the emojis added another element to the copy and said more by saying less. Rather than typing words, most people use emojis to express what they want to say and how they feel. Our team took these insights and used emojis to show the emotions that go into the process of buying a home. And in the end, the emojis embodied the essence of less is more. In addition to conversion-tracked digital banner ads, Pandora radio and companion banner ads, TV on demand, over-the-top (online streaming) ads and direct mail retargeting, our team saw a unique opportunity to place a first-of-its-kind billboard. New radar technology within highway billboards allowed custom messages to be displayed depending on the speed of traffic. When cars zoom by, a traditionally short billboard message displays. However, when traffic came to a slow roll, our messaging dynamically changes to a longer one because audiences have more time to read it. 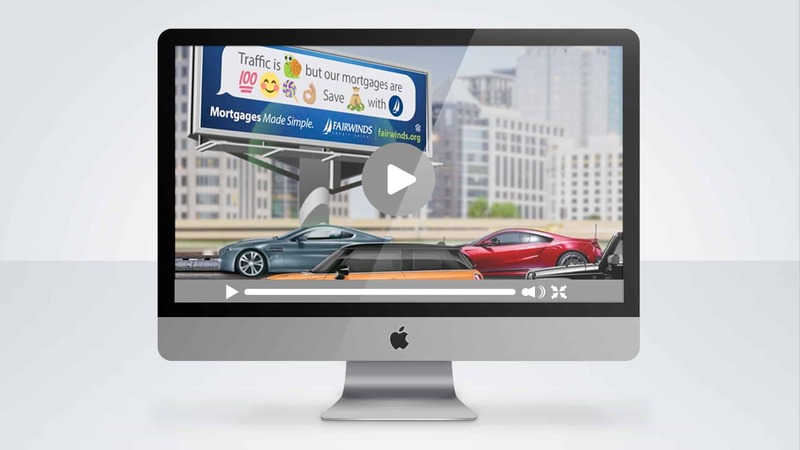 Our team brought this traditional channel to the modern day with a playful and fun mortgage campaign. 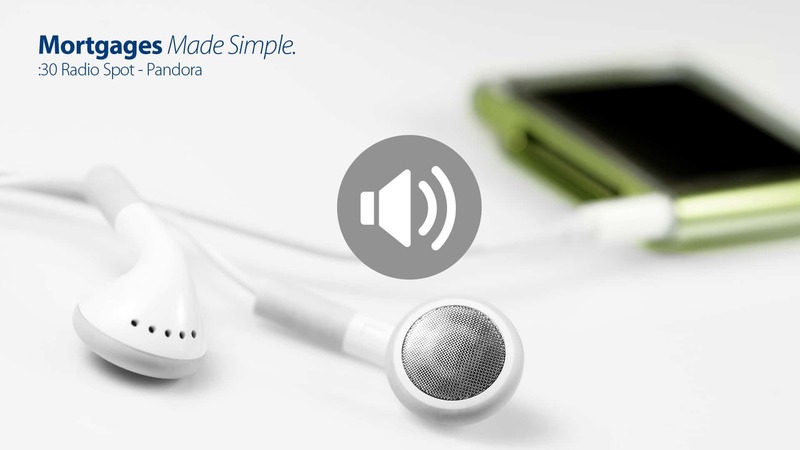 While the campaign is still ongoing, we understand that success is best measured by numbers. 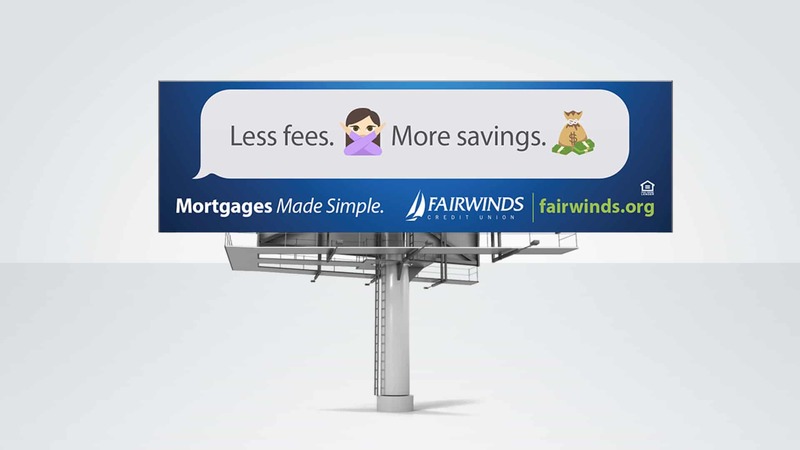 For that reason, we’ve documented the most current results, which show FAIRWINDS truly offers the best value to purchase and refinance mortgages. In addition to the less = more campaign, our team plans, produces and executes FAIRWINDS ongoing advertising and marketing needs.